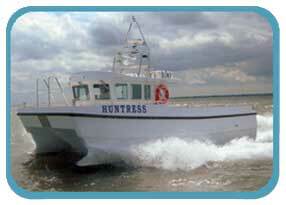 Huntress is a 2009 purpose built angling / passenger vessel. Built by Blyth Workcats in Essex, she has a spacious wheelhouse with the most up-to-date electronics available including the latest Furuno 3D Seabed Mapping System, which enables us to see every crevice and ledge - ideal for finding fish! The boat is also equipped with a 'Flush' toilet and a very spacious deck and, because Huntress is a catamaran, she is very stable. Huntress is powered by Twin Perkins Van Sabre Diesels producing a combined power of nearly 500 Horse Power giving a speed of 25 knotts plus. She can carry up to 12 passengers and 2 crew members iwth up to 1 ton of deck cargo. All life jackets are supplied. Please wear appropriate flat soft-soled footwear and bring waterproofs. In Autumn and Winter the obvious fishing choice is Cod and Codling. 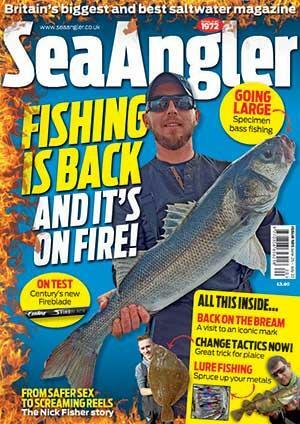 Fishing in both the Humber and surrounding grounds can be extremely productive. Due to Huntress being a fast vessel, it is possible to cover several fishing grounds in a single day trip, so a variety of species can be targeted. All fishing trips depart and return from Grimsby Fish Docks. All life jackets are supplied. Please wear appropriate flat soft-soled footwear and bring waterproofs. We offer a full range of tackle for hire at very reasonable prices. We can also supply bait. 12 Hour Trips: £60 per person. Information about M.V. Huntress and our full range of services, including fishing, sightseeing / pleasure trips and surveying is gradually being added to our website. Please check back regularly for the latest information and updates.